Group STD & LTD - Disability Management Services, Inc.
Each claim presents a unique set of facts and circumstances which merit thorough investigation and objective evaluation. 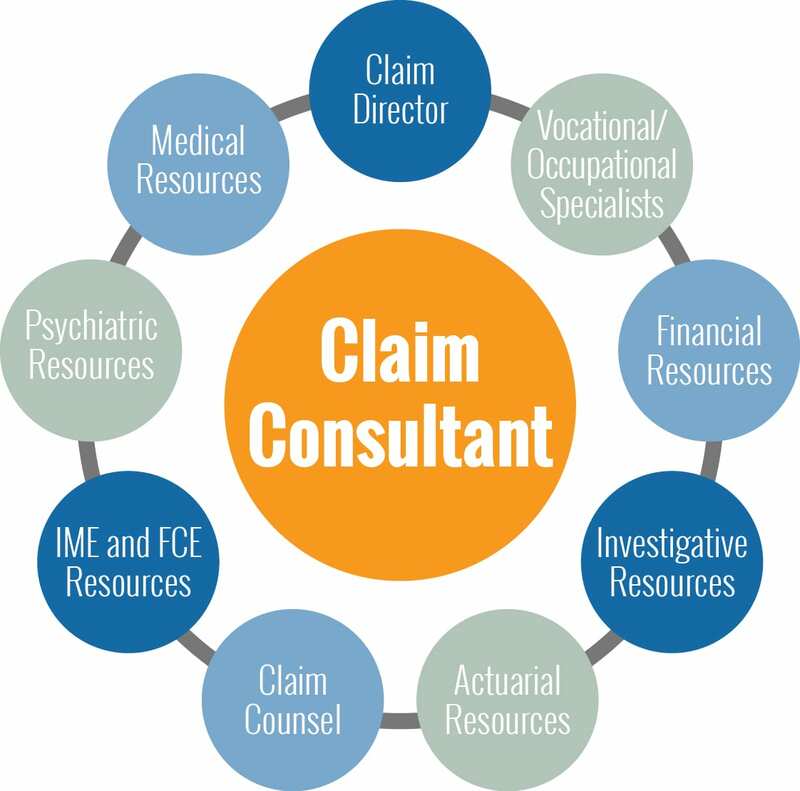 Proactive and expert management is necessary to ensure that each claim is accurately and efficiently adjudicated. Each claimant deserves to be treated with dignity and respect, and is entitled to a fair and timely benefit determination. Leverage well trained, experienced and highly skilled claim professionals who can think critically and work proactively. Utilize an activity based claim objectification approach stressing early and direct involvement by qualified professionals. 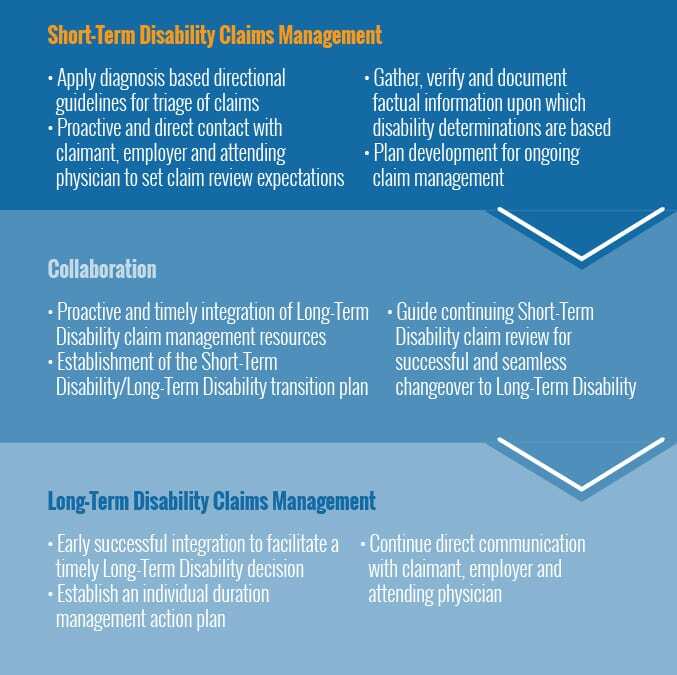 Integrate specialized clinical and disability claim management resources to ensure comprehensive benefit eligibility assessment. Enable claim experts through the deployment of proprietary technology that enhances communication and operating efficiency. 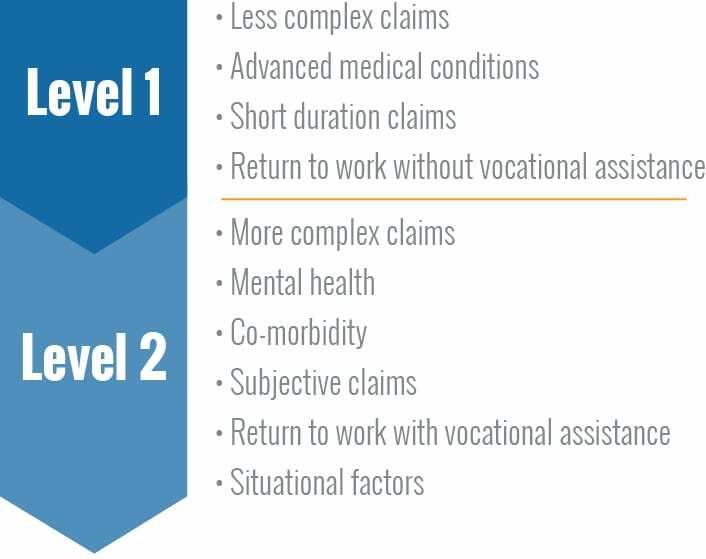 DMS works with the claimant, the physician, and the employer to understand the nature of the condition(s) to facilitate return to work when possible. 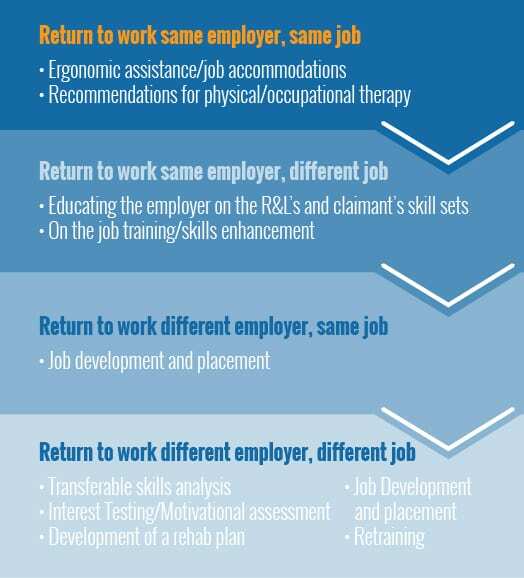 Establishing a Return to Work hierarchy through contact with the claimant, the physician and employer to facilitate a successful return to work in collaboration with the claim examiner and in accordance with policy provisions. 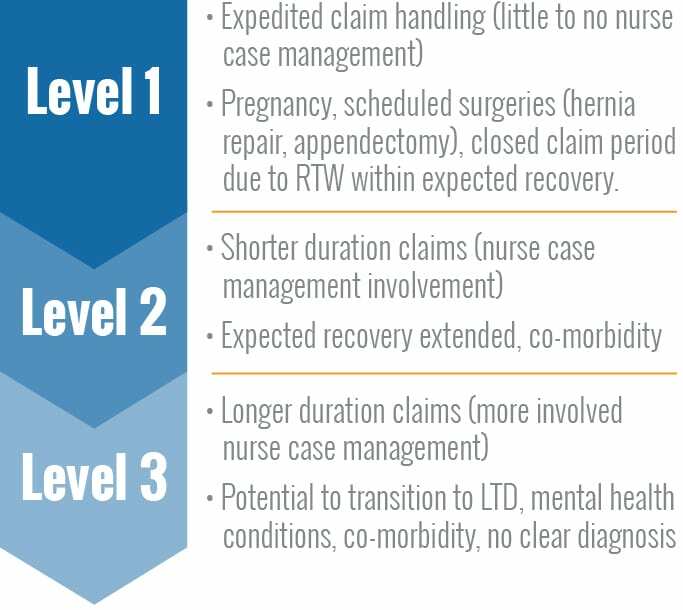 Early intervention helps identify problematic claims which may require additional resources to fully assess the medical, occupational and situational factors present. Timely and appropriate resource utilization leads to good decision making and effective duration management. Is condition expected to change over the next 6-12 months? 12-24 months? Disability Management Services, Inc. © 2019. All Rights Reserved.